In March 2014, Amanda Stenroos, a UMass graduate student in the violin studio of Elizabeth Chang, came to a lesson wearing a t-shirt from the Bach Festival at Baldwin Wallace Conservatory. When she explained to Chang how much the venerable tradition of that festival, the oldest collegiate Bach festival in the nation, meant to her, it piqued Chang’s interest. Could this be a model for an event at UMass? A series of conversations ensued, first with Chang’s colleagues William Hite and Chris Krueger, who have devoted much of their careers to Bach’s music–both have significant and deep ties with Emmanuel Music’s renowned Sunday morning Bach cantata series as well as with Emmanuel’s founder Craig Smith. 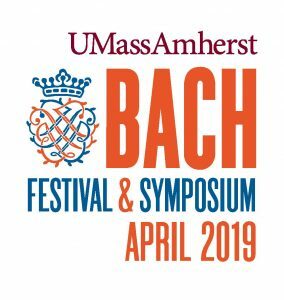 Later, Tony Thornton, director of choral studies at UMass, and musicology faculty members Ernest May and Erinn Knyt joined the conversation, and the 2015 UMass Bach Festival and Symposium was conceived. The team decided that the biennial event would be a music festival taking place concurrently with a scholarly symposium. This format, which is novel in the collegiate landscape, proved to be very successful. It included a symposium of scholars of international reputation (Richard Taruskin and Christoph Wolff among them) and a remarkable performance of the St. John Passion conducted by Julian Wachner featuring students, faculty, alumni, and guest artists in front of a sold-out audience. The festival and symposium picked up momentum for its 2017 iteration. The festival added a series of late-night concerts leading up to festival week called Bach in Bezanson. Student performers from the piano and string studios treated audiences to programs focused on solo sonatas, partitas and selections from The Well-Tempered Clavier. The festival’s opening concert heard UMass faculty members Elizabeth Chang, Fredric Cohen and Gilles Vonsattel in various concerti by Bach and Vivaldi. The centerpiece of the festival was the Mass in B Minor lead by internationally renowned conductor Simon Carrington. Hite and UMass alum Andrew Garland were among the soloists. The 2017 symposium was entitled “Bach in the Age of Modernism. Postmodernism, and Globalization”. The symposium’s first event was a panel discussion devoted to contextualizing the Mass in B Minor. 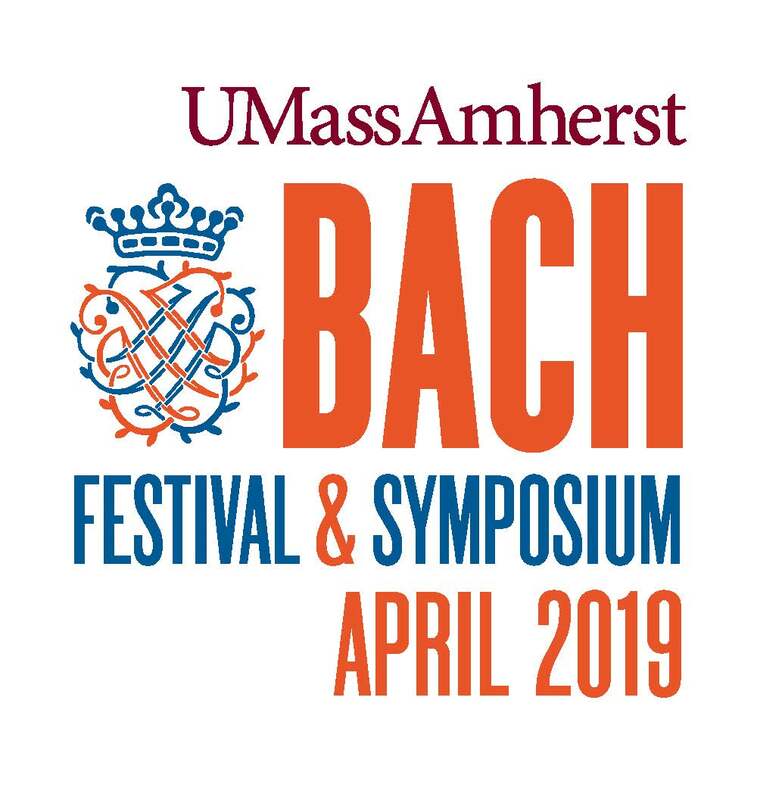 The keynote speaker and highly regarded Bach scholar, Michael Marissen, gave a talk called “Bach Against Modernity.” Other symposium presenters included Ellen Exner, Robert Marshall, and Markus Rathey.Fast forward to the 2019 edition of the UMass Bach Festival and Symposium, the most ambitious to date. The symposium entitled “Bach in the Imaginary Museum and Bach Re-Imagined: Contemporary Perspectives on Performing and Re-Creating Bach” promises to bring about a lively exchange of ideas. On April 13th, a full-day symposium will take place and will feature an international roster of 17 Bach scholars, with a keynote address by Columbia University’s Lydia Goehr (author of ‘The Imaginary Museum of Musical Works”); a panel discussion on the topic “Intercultural and Multidisciplinary Perspectives on Bach’s St. Matthew Passion. The event is collaboration among current UMass students and faculty, alumni, guest artists, and presenters from around the globe, including Owen Belcher, Emiliano Ricciardi, Maureen Carr, Erinn Knyt, Ernest May, Andrea Moore, Thomas Cressy, Michael Marissen, Karolina Kolinek, Yo Tomita, Ellen Exner, John Lutterman, Ruth HaCohen, Tekla Babyak, and Peter Kupfer. Festival organizers Chang, Hite, Stenroos and Thornton decided that 2019 was the year to present the St. Matthew Passion. And so, on Saturday, April 13th at 7:00 PM in the Concert Hall of the UMass Fine Arts Center guest conductor Andrew Megill will lead a performance of the St. Matthew with the Festival Chorus and Orchestra, Tony Thornton chorus master. Megill is the Director of Choral Studies at the University of Illinois at Champaign-Urbana and Associate Conductor of the Carmel Bach Festival. William Hite will sing the role of evangelist and Paul Max Tipton will portray Jesus, both are well-known artists to Boston area audiences. Featured aria soloists are UMass faculty Jamie-Rose Guarrine, soprano and Boston-based Thea Lobo, alto along with UMass alumni Robert Stahley, tenor and John Salvi, bass. Michael Beattie and Guy Fishman, familiar to Boston audiences, will play continuo. On April 12th, Gilles Vonsattel will return to the Festival for the opening concert in the music of Bach, Beethoven, Mendelssohn and Shostakovich. The Festival will conclude with a new event on Sunday April 14th at 3:00 PM. Guest director Jeffrey Grossman will lead a chamber ensemble comprised of UMass alumni in a performances of BWV 42 Am Abend aber desselbigen Sabbats and BWV 105 Herr, gehe nicht ins Gericht. The administration of the University of Massachusetts Amherst and the College of Humanities of Fine Arts, and the Department of Music and Dance have provided the support to make Bach Festival and Symposium possible, and the current students, alumni, and community members have stepped forward to participate on every level. This event facilitates side-by-side collaboration and mentoring among UMass students, faculty, alums, world-class artists and distinguished scholars, a unique opportunity in their education and career development. So did the folks at UMass actually speak to the folks at, you know, Baldwin Wallace? Seems like we have a serious “not invented here” syndrome in Massachusetts. One might want to know more, so one can go here: https://www.bw.edu/schools/conservatory-music/bach-festival/ and learn something about it, including the entire repertory list for its 86-year (you read that right) history. Remarkable!